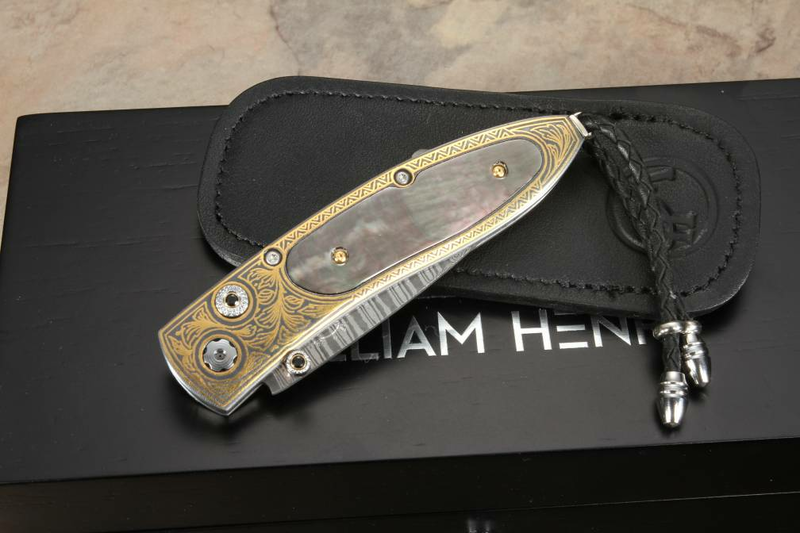 This William Henry B05 Gracious knife is a limited edition of only 50 individually numbered knives. 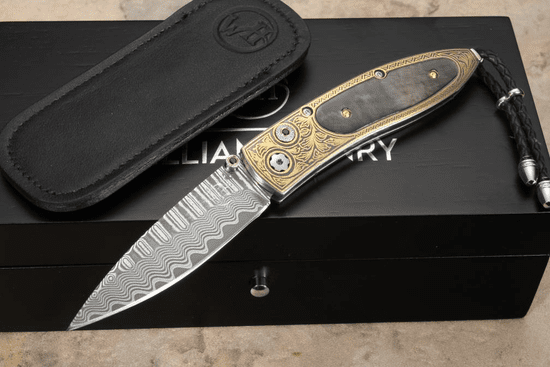 This knife is a stunning example of artistry in knifemaking and a selection of truly high-end materials; a combination of Damascus steel, gold inlay, and black pearl. Premium black lip mother of pearl handle inlays match well with the stainless 'Wave Pattern' damascus steel and a gold accented handle frame. The crafted Koftgari handle frame has 24k gold inlays, individually hammered into place in the steel frame. The black mother of pearl handle inlays are both radiant and masculine. The knife has spinel gemstone inlays on the button lock and the thumb stud, providing a smooth upscale opening and closing action. The B05 Gracious comes with a black leather clip case. The knife is completed in stainless steel bale with a black leather lanyard and steel beads. This WH collectors knife of only 50 knives is individually numbered and comes in an upscale wood presentation box. 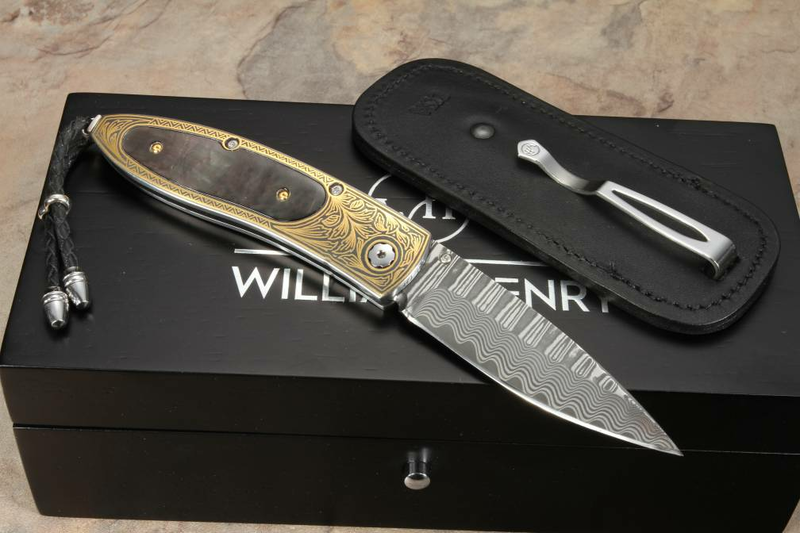 Order with confidence, we are an Authorized Dealer for William Henry and provide free shipping along with a full satisfaction guarantee!